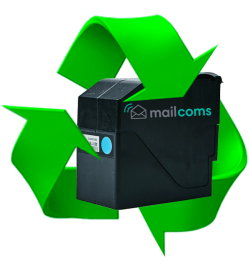 Mailcoms are an authorised Neopost distributor and service agent. As such we can offer you this low priced, genuine original Neopost IS420 ink cartridge and Neopost IS440 ink cartridge. This ink cartridge is perfect for the following franking machines: Neopost IS420 / IS440. To clarify this Neopost IS420 original ink cartridge and Neopost IS440 original ink cartridge is brand new and comes directly from the original manufacturer Neopost. This means it has been approved by the Royal Mail. As an original ink cartridge it is built for quality and productivity. Mailcoms will ensure this IS420 & IS440 ink cartridge will offer a similar quality, life and amount of prints as the original manufacturers ink cartridge.